So there has been another climate conference, where the powerful have discussed how to save our world. Main topic, was usual, is the CO2-production. Let’s be honest, most countries find it challenging to reduce their CO2-output, some flatly refuse to try. But some years ago, a light appeared at the end of the tunnel of lighting technology: the LED. LEDs need considerably less energy than traditional light sources, and according to manufacturers, have a longer life span. There appear to be more good arguments for LEDs: the white light is better for colour vision, visibility is better than with the orangy light of sodium vapour lamps and LED-light can be directed exactly where it is needed. Which means onto the street, not into the sky or neighbourhood. A truely sustainable, environmentally friendly products. Really? 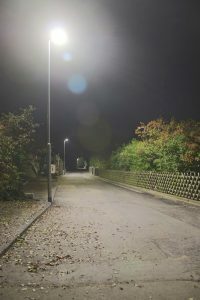 A group of scientist around the Verlust der Nacht physicist Christopher Kyba from German Research Centre of Geosciences wanted to find out, if energy consumption and light pollution have really been reduced by LEDs. 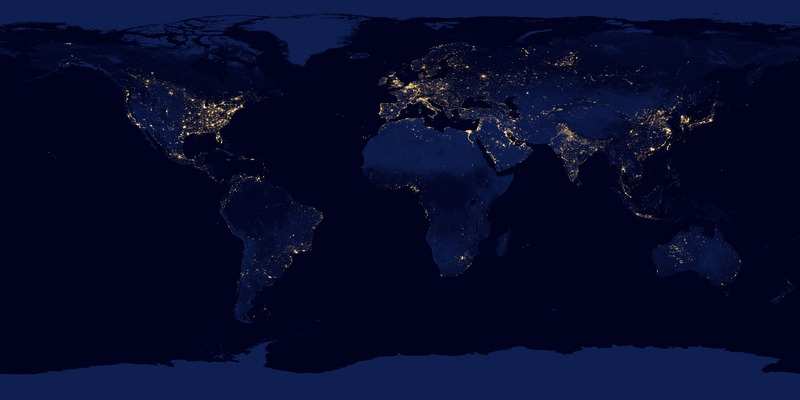 The analysed pictures of the Visible Infrared Imaging Radiometer Suite Day-Night Band (VIIRS DNB), a sensor that allowed for the first time to do calibrated measurements of radiance on earth. Its spatial resolution of nearly 750 nm allows analysis on a neighbourhood scale. The researchers wanted to know three things: Did radiance increase on a national level, did bright areas increase their brightness and has there been new areas with bright lights. There results, to be blunt, are scary! 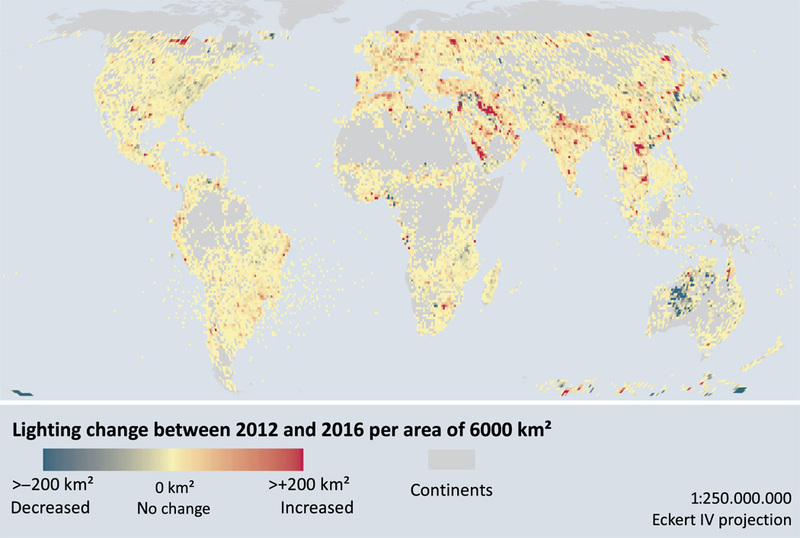 Between 2012 and 2016, radiance increased globally by an average of 2.2% per year. This was particularly strong in South America, Africa and Asia. Radiance in already brightly lit countries like Italy, The Netherlands, Spain, and the US remained unchanged. Only few countries decreased their radiance, and these included war zones like Yemen and Syria. This graph shows the changes in lit area (A) and radiance of lit areas (B) on national level between 2012 and 2016. Areas with decrease in radiance are pictured in blue, those with an increase in red. For yellow countries, no change in radiance was recorded. On a global level, radiance increased by 9.1% within five years (Figure 1 from Kyba et al. 2017). This graph shows the absolute changes in radiance on a finer scale. Radiance increased especially in already lit areas. No areas higher than latitude 60 was analysed to avoid interference of polar lights (Figure 2 from Kyba et al. 2017). Each study has some weak points and this is also true for this one. The DNB-sensor is unsensitive for wavelength of 400 to 500 nm which are very strong in LEDs. 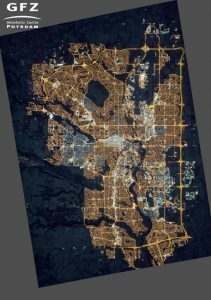 Those cities that have changed their street lights from the long-waved sodium vapour lamps to short-waved LEDs appear therefore darker on the satellite pictures, even if seen by a human eye they are brighter now. For this reason the authors believe that light pollution is even higher than reported in this study. The example of Milan, Italy, shows the consequences of the change from sodium vapour to LED: Colour astronaut photographs from 2012 (A) and 2015 (B), change from 2012 to 2016 in the DND radiance band (C): Areas lit by LEDs appear white and brighter than sodium vapour for the human eye, but darker for the sensor. (Figure 5 from Kyba et al. 2017). Another problem for the analysis is skyglow. This happens when light is scattered by atmospheric particles and distrubuted over a wider area. This way, scarcely or unlit areas appear brighter. Skyglow is mainly produced by the short-wave lights of LEDs. Since the DNB-sensor is unsensitiv in the short-wave sector, the authors say that LED areas are brighter than measured in their study. Skyglow has a negative effect on many aquatic species and insects, as has been shown in several studies. 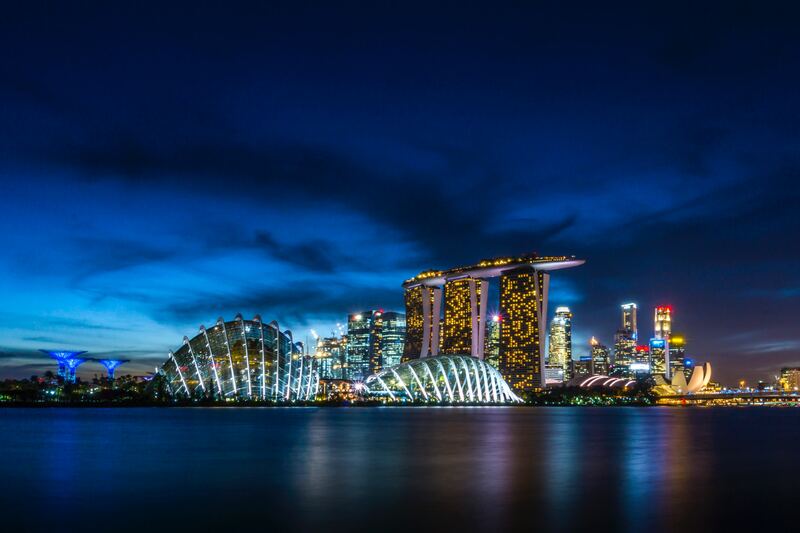 The increase in radiance reported in this study confirms experiences from many areas where street lights have been changed to LED: energy savings for single lights are used to install more and brighter illumination. By saving money in one area, it is also possible to install lights in darker areas. Kyba et al. show a correlation between GDP and amount of light in a country. This is in accordance with Tsao et al., who report that independent from historical and geographical situation, a country tends to spent approximately 0,7% of its GDP for light. It appears that using more efficient light leads to using more light. Possible savings in energy have not happened or have been considerably small, so Kyba et al.. The reasons to bring in more light seem sensible at first. More light, so many people believe, increases safety and security as well as the quality of life for the residents. But reality tells a different story. There is no proof that more light as such protects against criminals, it appears that the quality, not the quantity of light is important. The same is true for traffic: When street lights were switched off in Belgium, the number of car accidents did not increase. On the contrary, badly installed LEDs can produce dangerous glare. That leaves the idea of improved life quality. The media are full of reports on residents who complain about newly-installed LEDs. They feel a loss of atmosphere, especially in historical and resident areas. Just this week I got a phone call from a woman who had to give up her morning runs because the glaring street lights give her a severe headache. Complaints about sleeping problems are common. Studies show an increased risk for cancer, obesity, diabetes and depression in brightly lit areas. The influence of cold-white LED light on our circadian rhythm has been well documented by now. And let’s not forget the consequences of this light for animals and plants. So is there a solution? At the moment it feels like loosing hope in something that set out to safe our world. But the solution could be so simple! The EU norm DIN 13201 proposes a radiance of 2 to 15 Lux for small resident streets. Many experts believe that 3 to 5 Lux would be sufficient. LED-lit streets are often overly lit, as can be seen in the picture on the right side. It was taken in a quiet dead-end in a small German town, and I measured 41 Lux underneath the light. A neighbour told me that she is worried to drive here by night, because the lights are so blinding that she would not be able to see a person walking on the road (there is no pedestrian way here). If we would reduce the level of brightness to a sensible and user-orientated level, we could save lots of energy. Kyba et al. show that radiance in the US is three times higher than in Germany, where prosperity, safety and security is on a similar if not higher level. It is also useful to rethink the times at which we switch on the lights. Smart lighting concepts include motion detectors to switch off or dim the light according to traffic density and weather conditions. The idea to switch of the light completely during some parts of the night, as is done routinely in Germany, can be useful in some places too. Directing the light to the area where it is needed is another option. LEDs are perfect to get the light exactly where you need it. Pick the right fixture and position, and your lamp will be much more efficient. An important factor regarding ecology and health is the colour of the light or CCT. Cold-white LEDs are the most energy-efficient and currently cheapest on the market. However, for what we know today they have the highest negative impact on biological rhythms and, for example, insects. Warm-white LEDs need slightly more energy, but are easier on environment and health. Even better are the orange-red Amber LEDs. Last but not least we should consider something else: light design. Today, no respectable city would do without illuminated buildings and bridges. Even small towns direct floodlights towards their churches, castles and historic town halls. Due to LED-technology, every private house can be transformed into a light installation. But how much are we willing to pay for this art? Is it worth to endanger environment, health and climate? Light designers are exploring the contrasts of light and dark and find ways to work with less, but accentuated light. And sometime we should just switch off and savour the beauty and silence of the night.